Saturday night at the NEW Center, an overjoyed crowd popped the cork on the Shine On campaign. The entire NEOMED community was invited to the NEW Center on Saturday, Sept. 8 to join together and celebrate the University’s many successes and the culmination of the Shine On campaign. A full evening had been planned to celebrate the outstanding results that so many had helped bring to pass. To begin, guests attended either a gala reception in the atrium of the NEW Center or the Alumni Reunion and Awards Reception in Cook Alumni Hall. For dinner, guests gathered in the Grand Ballroom, seated at tables decorated with all-white bouquets of hydrangeas and roses. More generosity flowed after dinner at an auction that raised $61,000. Of that, more than $37,000 was designated for student scholarships, while another $24,000 was raised for the Blue Fund in support of the White Coat ceremony. At the ceremonies for the College of Medicine and College of Pharmacy Monday, Sept. 17, many fortunate students will find a card in the pocket of their coats informing them that a donor has made a gift to them. After dinner, guests danced to music of the TCB band, sampled the desserts, and mingled downstairs in the NEW Center atrium or in Cook Alumni Hall. 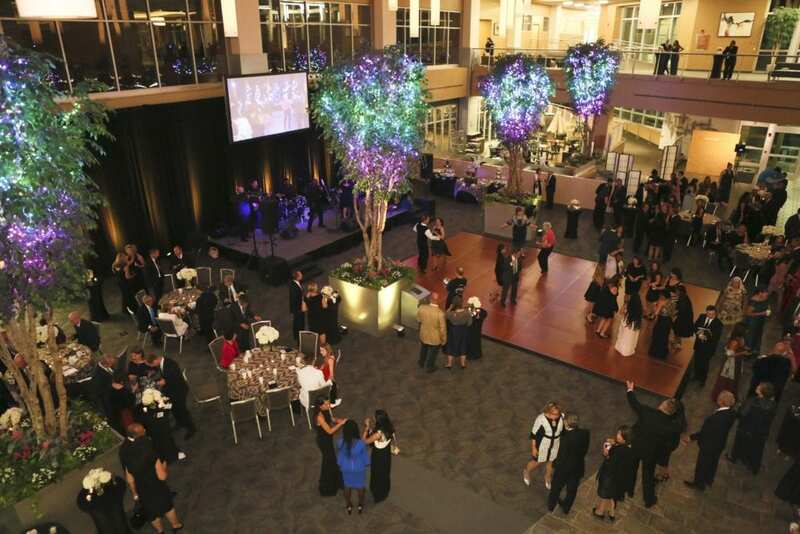 Create an elegant gala of your own at The NEW Center! This perfect venue has a central Northeast Ohio location, complete with delicious catering headed by our fabulous and experienced Executive Chef. Contact us today to start planning!